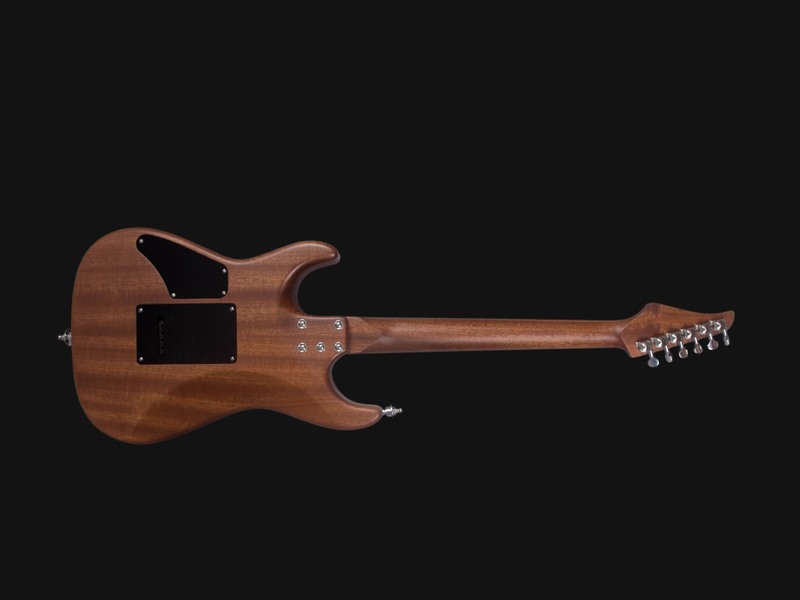 Model made in bolt-on construction, with mahogany neck. Body also made of mahogany but in combination with top made of patterned maple, body finished with natural binding. Rosewood fingerboard. 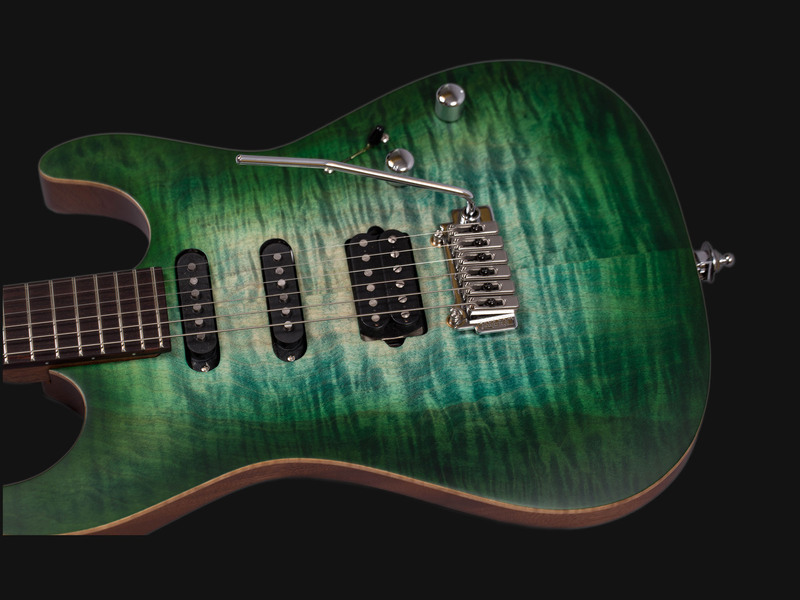 One sided tremolo Wilkinson bridge and Haeussel pickups in H-S-H system. Also we used here 3-position switch as well as Push-pull switch which allows to disconnect coil in pickup. 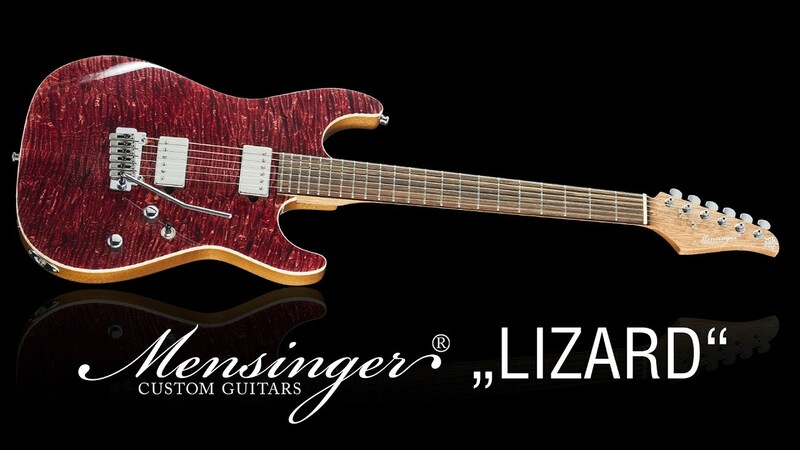 Model made in bolt-on construction, with mahogany neck. Body also made of mahogany but in combination with top made of flamed maple, body finished with natural binding. Ebony fingerboard. One sided tremolo Wilkinson bridge and Haeussel pickups in H-S-H system. Also we used here 3-position switch as well as Push-pull switch which allows to disconnect coil in pickup. 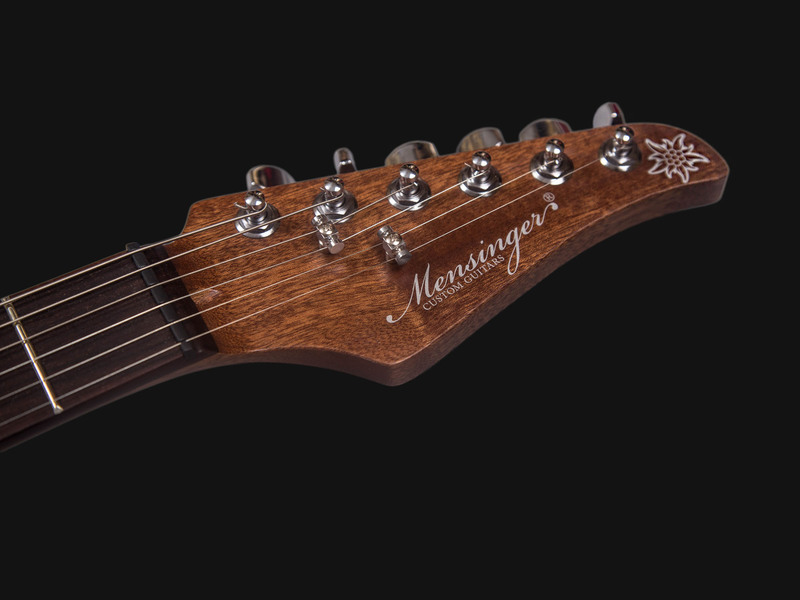 Model made in bolt-on construction, with mahogany neck. Body also made of mahogany but in combination with top made of flamed maple, body finished with natural binding. Rosewood fingerboard. 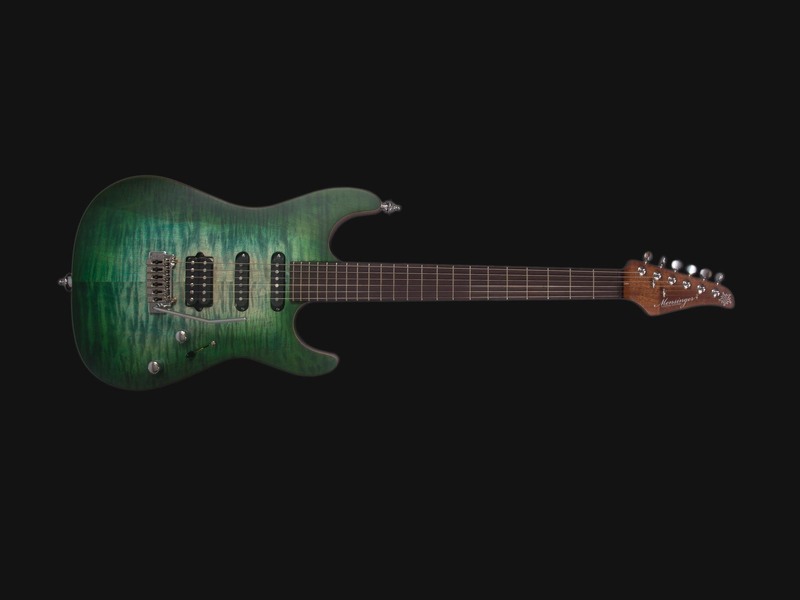 One sided tremolo Wilkinson bridge and Haeussel pickups in H-S-H system. Also we used here 3-position switch as well as Push-pull switch which allows to disconnect coil in pickup.